There will be new uniforms for Comets' fans to familiarize themselves with at the Adirondack Bank Center this coming season. 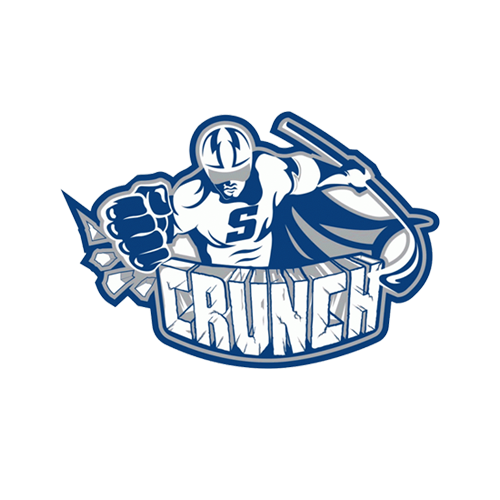 Early on in the AHL season, during a two-week period, the Charlotte Checkers and Comets will get to know each other well. Charlotte, like Utica, are members of the Eastern Conference. However, the Checkers are in the Atlantic Division. This weekend, October 28 and 29, the Comets, members of the North Division, will visit Charlotte's Bojangles' Coliseum. Red, silver, black, and white make up the Checkers' color scheme. Surprising to some, at first, Charlotte, like the Comets, has a rich hockey tradition. Long before the NFL, NBA, NASCAR, and Ric Flair began chipping away at sports headlines in North Carolina, hockey was given an opportunity to prove itself the "Queen City" - way back in the 1950's. Charlotte, who last season was situated in the AHL's Central Division, is located nearly 750 miles south of Utica. As the primary affiliate of the NHL Carolina Hurricanes, Checkers hockey roots can be traced back to 1956. Hockey may have come to Charlotte as a "temporary fix", but locals took to the new sport in their region immediately. History reveals that when the Baltimore Clippers were in need of an arena to skate in their final five home games of the season, the City of Charlotte obliged. The rest as they say, is in the books. Charlotte, one of eight teams in the Atlantic Division, finished last season with a record of 39-29-7-1, and lost in round one of the playoffs. During the Walker Cup Championship run of the Clinton Comets in the 1960's, and Pat Kelly's Comets' southern swing, the Comets were regular challengers to the Checkers in the Charlotte Coliseum. The current version of the Checkers can be traced back to the Albany, New York region. Originally, the Capital District Islanders for three AHL seasons (1990-'93), the franchise moved from skating home games in Troy (NY) to Albany - eight miles south. In 1993, the Albany River Rats settled into the Knickerbocker Arena (now Times-Union Center). From 1993, until the spring of 2010, the Rats were a staple in the Empire State's capital region. The franchise would be sold and relocated to Charlotte, where an ECHL Checkers franchise was already in operation. In 2006, Dr. Michael Kahn purchased the Checkers. 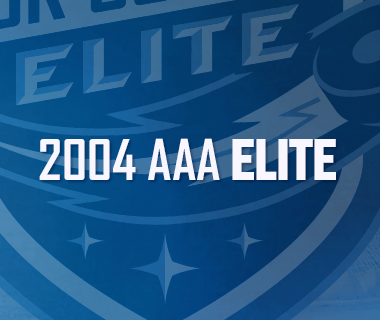 When Kahn purchased the Rats, he relocated the team to Charlotte, and relinquished the ECHL franchise to the league. A philanthropist, Kahn is also a minority owner of the Hurricanes. 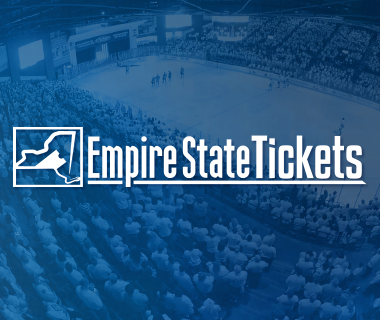 Dating back to their infancy in the Southern Hockey League, the EHL, ECHL, and now AHL, a Checkers team makes a return to the Mohawk Valley in November (8th & 10th) to meet the Comets, after decades in the making. For the last two AHL campaigns, the St. John's IceCaps were the Montreal Canadiens' affiliate. Montreal switched the location where they will groom their prospects to Laval, Quebec - less than a one hour drive to their home arena Bell Center. The Comets and Laval Rocket, named in tribute to the Canadiens' legend Maurice "Rocket" Richard, will first meet on November 15. The Wednesday evening match will take place in Laval's new 10,000-seat arena, Place Bell, that comes with a cost of $200 million dollars. 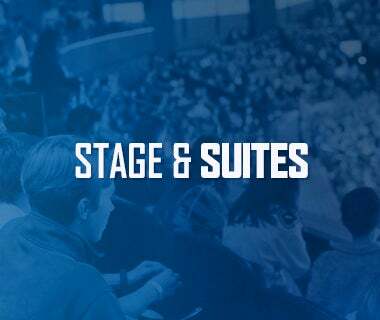 The Rocket and Comets will meet two additional times in November (24 & 25), at Place Bell, before Comets' fans at The AUD get their first look at Laval on January 5 & 10. The Molson family, owners of the Rocket and Canadiens, have their AHL affiliate predictably so, suited up in red, white, and blue colors. Laval, 265 miles north of Utica, traces its AHL roots to the Montreal Voyageurs, for the 1969-'70 season. Of the Canadiens' various AHL affiliates and locales, including the Nova Scotia Voyageurs and Sherbrooke Canadiens, there is a local tie-in, with Laval's heritage. Clinton native Ted Fauss, who skated for the Toronto Maple Leafs, also spent three seasons (1982- '85) with Nova Scotia and Sherbrooke. During the 1984-'85 season with Sherbrooke, Fauss and NHL great Patrick Roy shared a time as teammates. Just as Comets' mascot Audie plays a pivotal role in representing the team in the community, the Rocket, too, have recruited a recognizable face for their public. Cosmo is portrayed as being the cousin to Youppi, the mascot of the Canadiens, and before that, the furry face of baseball's Montreal Expos. 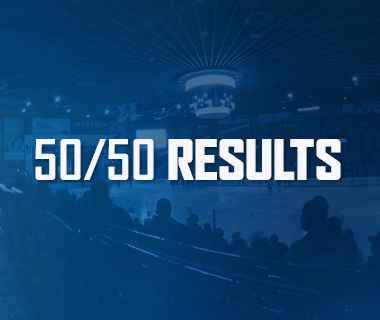 Last season, in the North Division, the IceCaps finished the regular season with a record of 36-30-8-2. Like Charlotte, St. John's was one-and-done, in Calder Cup action. On November 17, the Belleville Senators will visit Utica for the first time. Formerly stationed in Binghamton from 2002 through this past AHL season, the Sens will one again be recognizable wearing their red, black, and white uniforms. After 15 seasons based in New York's Southern Tier region, the Ottawa Senators have relocated their AHL affiliate in Ontario, 170 miles south of Canada's capital. The Comets will get their first look at Yardmen Arena in Southeastern Ontario on February 19. Belleview's logo is simple - a "B", over black and red stripes; an adaptation of the Ottawa Senators' heritage logo. Last season, the B-Sens, finishing at 28-44-2-2, didn't qualify for post-season play. Leading the team from the bench last season, and again starting this fall in Belleville, is Kurt Kleinendorst. A former Utica Devil (1987-'88), Kleinendorst previously coached the Iowa Wild for two seasons, and in 2011 saw his B-Sens capture the Calder Cup. Before Belleville entered the AHL, the city was home to the Bulls of the Ontario Hockey League. Among the hockey elite alumni of the juniors program in Belleville are current Comet Jordan Subban and former Comet/current Vancouver Canuck Braden Gaunce. 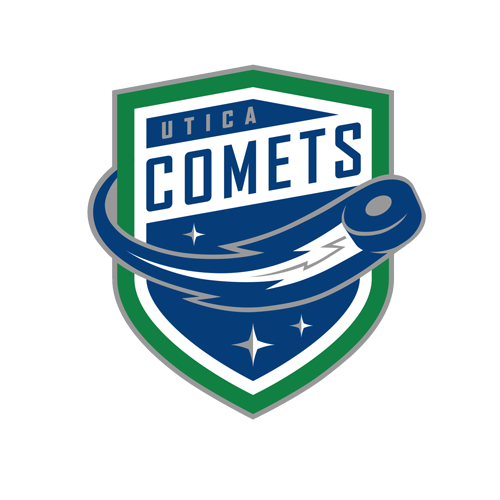 North and South of Utica, the Comets' fifth season in operation promises to be fresh and a few new teams to get used to.